Preheat the grill or barbecue. Place four of the slices of white bread on indirect heat. 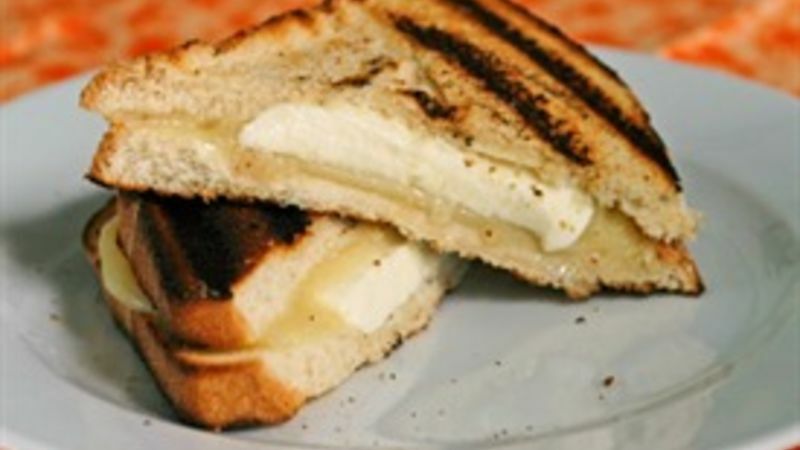 Top each with two slices of provolone cheese, one slice of fresh mozzarella cheese and 1 tablespoon of Romano cheese. Cover the grill and cook for 4-5 minutes, until the cheese are all warm. Place the remaining slices of bread on direct heat and cook for 1 more minute. Close the sandwiches and remove from the grill. Let cool slightly before eating.